Luke began his musical career at the age of 9 when he started playing the drums at this local church. A little later at the age of 12 Luke developed a special talent for the keyboards and it was only to be a few years later that he had found his way into a Manchester based choir called the Merry Bell Mass Gospel Choir at the age of 16 and toured the UK and USA. At 17 Luke enrolled at Arden College of Music where he studied Sound Engineering and Recording Techniques whilst simultaneously completing Music ‘A’ Level and achieving outstanding accolades on Keyboard, Drums and Instrumentation. At 18 while studying, Luke started his professional career as the keyboard player in a group called Distance Cousins. At the time signed by Virgin Records, Distance Cousins got the gig to support Lisa Stansfield on her UK tour, an opportunity to gain experience of playing large venues. Between the age of 18 — 21 Luke continued to develop his style whilst playing in various Jazz bands in Manchester and neighbouring areas. In 1992 Luke spent 2 years with Hot Chocolate during their European tour as the main keyboard player. As ambitious as ever Luke wasn’t content with this gig and put into action forming his own Jazz band; this was a huge success for Luke as the band went on to support a high level of musician’s and singers including: Roy Ayres, Hugh Masekela and Earl Klugh to name a few. 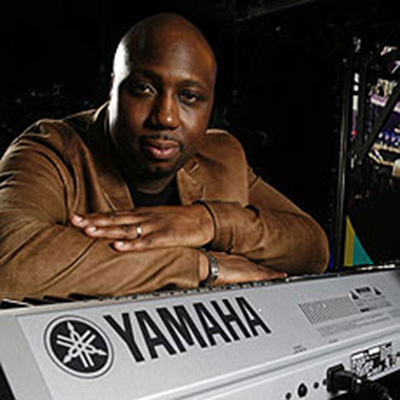 At the beginning of 1995 Luke moved to London and was the Musical Director and main keyboardist for the hit Broadway production of “Mama I Wanna Sing” with Chaka Khan, Doris Troy and Stacey Francis. Once this production had finished Luke went to LA on tour with an award winning gospel choir (London Fellowship Choir) where they broke history in being the first British Choir to perform at the GMWA (Gospel Music Workshop of America ); singing a long side various platinum American Gospel artists. A huge fan of Yamaha keys from way back, Luke currently plays MOTIFES and S90ES in his role as keyboardist in George Michaels band. Having just completed the ‘25 Live’ tour which entertained over 650,000 delighted fans over the course of a 49 date tour, in 11 different countries; and with George Michael now confirmed to be the first artist to play a concert at the new Wembley Stadium on 9 June 2007, Luke is all set to be part of history. Career High Points: Luke tells a great tale of the time he was asked to play Hammond organ on a BB King studio recording of ‘The Thrill is Gone’. If that wasn’t enough of a good thing in itself, other musicians in the studio on the day included none other than The Who front-man Roger Daltry and the Cream of the crop Eric Clapton. Positioned next to Eric as they went for the first take, Luke had to cope with a number of what can only be described as your worst nightmares — as BB counted them in for the first take it dawned on Luke that he had no idea what song they were playing. A sharp ear and a cool head allowed Luke to quickly pull out the key and chords and begin playing along only to be faced with his next challenge — he couldn’t hear what he was playing. With a few funny looks from the engineers in the control room Luke carried on regardless — it was only six-and-a-half minutes to endure before the take was over and the engineer fessed up to having made a mistake with Lukes monitor level and he was invited to do it again….this time all went well.